This week, as you probably know, was the beginning of March Madness/March Mayhem/NCAA Tournament. In case you don’t know, this is a tournament between the top college men’s basketball teams in the country. There are 64 teams who play each other until there is a winner. There is a college called Winthrop University out of Rock Hill, South Carolina. This year, Winthrop made it into the NCAA tournament for the the first time in (I believe) ten years! The reason this is exciting for me is because my family knows two of the players; Anders and Bjorn Broman, who are brothers. 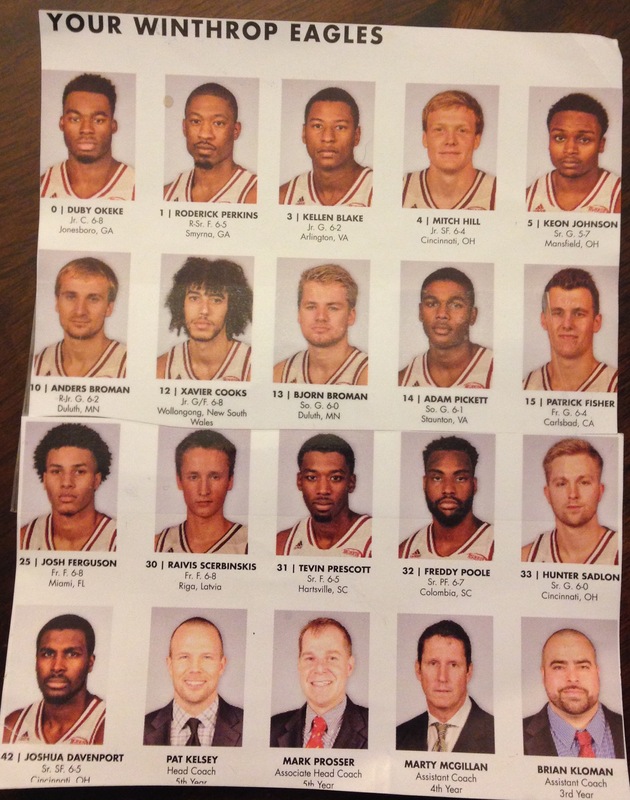 Because we know them, we get to go to a lot of Winthrop’s home games. There was a Selection Sunday watch party at the Winthrop Coliseum my family went to. Winthrop was the number 13 seed and was going to play against the number 4 seed. 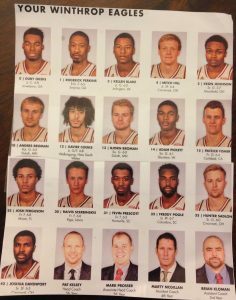 Thursday, March 16th the Winthrop Eagles played the Butler Bulldogs in Milwaukee. They unfortunately lost by 12 points, but it was still a really good game to watch. It wouldn’t have been such a sad loss if it wasn’t the last time I’ll see the seniors (Keon Johnson, Tevin Prescott, Josh Davenport, Hunter Sadlon, and Roderick Perkins) play. 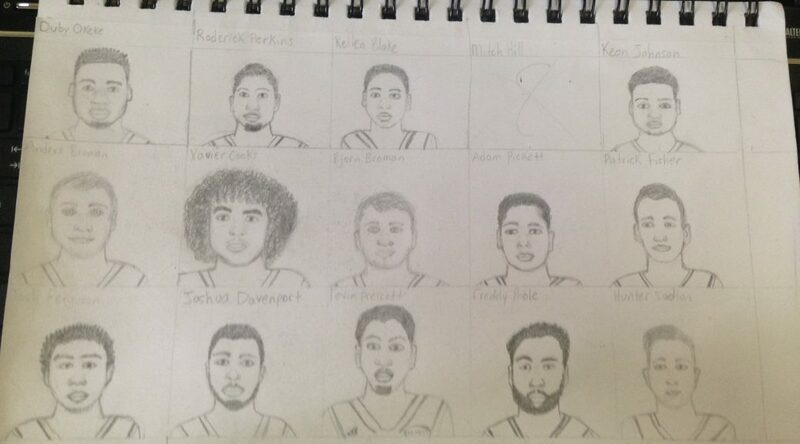 I’ve decided to draw all of the Winthrop players and then get it autographed! 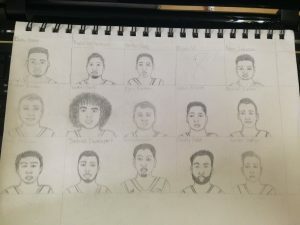 I have drawn 14 of the 16 players on the team, including red-shirted players. 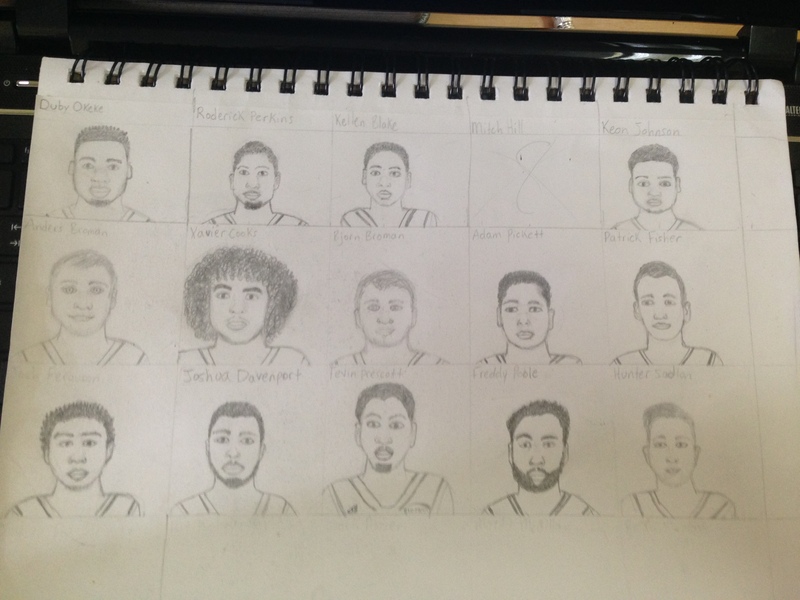 Here’s my progress so far!